Paris Pastry: New Baking Books! Hello everybody! I'm excited to write about my new books that I have purchased over the last few weeks. Like any baker, I had a wishlist of cookery books that I would love to have, and these last few weeks, that list has become increasingly shorter. If you've been reading my blog, you might have noticed that I went on the Queen Mary 2 a couple of weeks ago. When I was on it, I borrowed 2 books in the library from Nigella Lawson and typed over recipes that looked good to me (the cheap way, I know). Across the street from Magnolia Bakery in New York City, there is a bookstore that sells all kinds of books for a very low price. 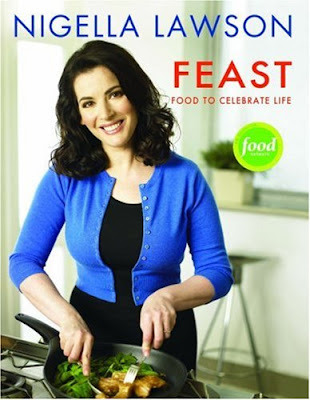 I managed to get my hands on Nigella Lawson 'Feast' for only $15! 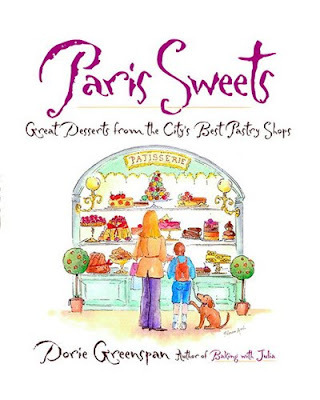 Right now I'm in Orlando Florida and I just bought Dorie Greenspan's 'Paris Sweets' in Disney's Epcot (oddly enough). I'm so excited for this book! I can't wait to make all kinds of Parisian pastries and post them! Ooh I have both of these books!!! Hope you're having fun in NYC!! I look forward to seeing what you make from these two good-looking cook books! OMG! Do they have that new Harry Potter Wizarding World open at Disney World yet?! I'm SO jealous!! I need to go check my book store for 'Paris Sweets'! I've been looking for a great macaroon recipe. I was thinking of ordering Laduree's 'Instant Gourmands'-have you looked at that one?! No that's opening next year! I haven't looked at any of Laduree's books but in 'Paris Sweets' there are a lot of recipes by Laduree.